Hardy Kiwi grows on a vine, much like a grape, and is a very vigorous and prolific grower. In optimum growing seasons, a kiwi vine can grow up to 20 feet; sometimes adding almost a foot per week. Strong trellis systems are a must, and regular pruning is recommended. You can prune your vines anytime during the season as needed to control growth. During the first couple years after planting, prune lateral suckers (small shoots around the base of the plant) during the dormant season to create a strong central “trunk” and encourage more growth on the single vine. Hardy Kiwi prefer full sun and well-drained soil with a balanced pH of 5.0-7.5. They don’t tolerate drought well nor do they like to be too moist. Hardy Kiwi require both a male and female vine to produce. When purchasing your vines, be sure to get at least one male for every 9 females. Kiwis generally flower sometime late April or May, depending on your growing zone. Be sure to protect the plants from any possible late frosts, as damage to the buds once they flower will greatly affect any chance at harvest. Most hardy kiwi varieties take about 3-5 years to get established and start producing fruit. Hardy kiwi can withstand temperatures to about -25˚ F but be sure to protect your vines if you live in a cold climate or if temperatures stay below freezing for extended periods of time, especially during those first 5 years while the vines are setting roots and getting stronger. I recommend a thick layer of organic mulch like oat straw to help protect and insulate the roots. Wrapping the vine with burlap, and/or adding wind protection during cold winter months may also be helpful in protecting your vines. Once established, hardy kiwi can produce up to 100 lbs of fruit with an average annual yield around 50 lbs of fruit per vine. 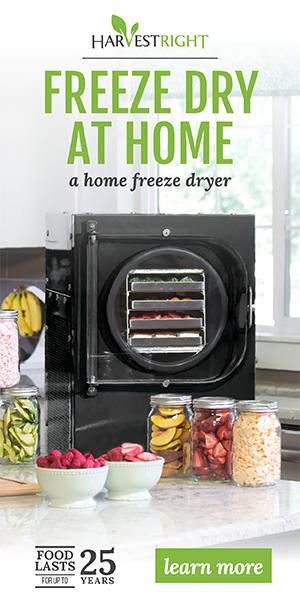 Luckily, kiwi berries freeze well, dehydrate well, and make amazing jams and jellies! Kiwi fruit generally reach full size around mid-summer but don’t get too impatient (even though this is sometimes hard to do!). Just like tomatoes, most of the sweetness and flavor come in the last couple weeks of maturity. In kiwi berries, this usually happens sometime in mid-September, depending on your growing zone. Knowing when to pick is the hardest part about growing kiwi. Although you can let the berries fully ripen on the vine, (which is recommended if you are planning to freeze, dehydrate, or make into jam) the berries won’t keep as long and you risk spoilage and turning them into chicken food instead of dessert. If you pick too soon, the full flavor hasn’t developed and you’ll have tart kiwi. To find the best time to pick, taste sample a few is best. Kiwi berries will ripen at room temperature after picked (again, much like a tomato). Storing kiwi berries in your fridge will slow the ripening process. Be sure to pick all your berries before the first frost. Kiwi is a very easy to grow addition to your homestead so why not give it a try? You’ll be able to enjoy bountiful harvests for decades to come on a fruit that is normally considered tropical and exotic. And, just like strawberries, raspberries, blueberries, or any other favorite fruit that has been carefully preserved, the joy that comes from eating some kiwi jam on fresh baked bread in the middle of a blustery snowstorm and tasting that sliver of sunshine in summer, just can’t compare. Try it and let me know how it goes for you!